World renown interdisciplinary artist and street performer, Bill Shannon has his sights set for Byron Bay. Having traveled to Australia in the recent past, Bill Shannon (USA) met many of the individuals participating in and facilitating for the arts and disability community of Australia. Since his keynote address at the ‘Kumuwuki’ Regional Arts Conference (2012) in Goolwa, South Australia, he has had an interest to return and work with communities and organisations in Australia. Dance Integrated Australia’s Philip Channells is in current negotiations with Bill Shannon about a visit to the NSW Northern Rivers region to participate in the RACONTEURS project 13 – 24 November 2017, which is part of ‘The Corner Residency Program’. This new project will be a skills development project which traverses interdisciplinary art forms and popular culture. Designed for local youth, early career & established artists & non-normative performers from diverse cultural backgrounds, this 2-week project provides access to journeying techniques, movement, physical theatre & interactive street workshops and performance. Shannon will design a workshop based on his personal history of developing his creative movement vocabulary on crutches. The workshop process will guide and encourage participants to begin development of a well-defined and personalised dance vocabulary based on their own lives, relationships and movement patterns. The workshop will include experimental exercises, lectures, video, group discussion and reading. For more information about the project or to register your interest in being involved, contact Creative Director, Philip Channells via email: philipchannells@gmail.com. The Raconteurs project was made possible by the Australian Government’s Regional Arts Fund, provided through Regional Arts Australia. This project has been supported by Critical Path. This video features Bill Shannon in a VISA commercial. Bill Shannon (USA) is a conceptual, interdisciplinary dance and media artist who creates complex site-specific visual artworks alongside performances of solo and group choreographies and happenings in galleries, theaters and the street. Shannon is widely recognized in the dance and performance art world, the underground hip-hop and club dance scene, the urban arts movement, as well as the disabled artist community. 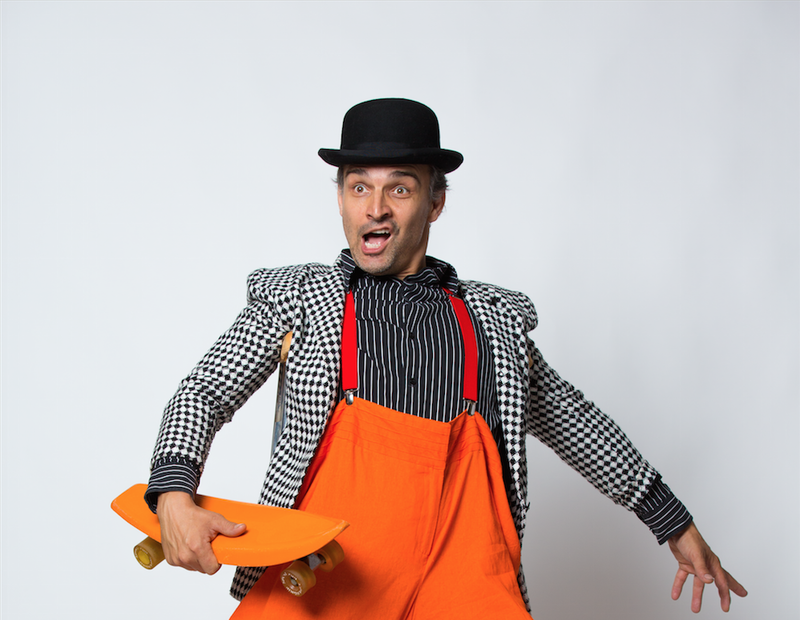 Shannon remains deeply involved in the urban underground club dance world and also is active as a street performer and busker employing contemporary and classic clowning, street provocateur interactions and slapstick humor. Recent major focus of Shannon’s work has been on bringing dance and movement to audiences as site-specific video installations and developing disabled dance vocabularies for disabled individuals based on his own life trajectory. Shannon is currently artist in residence at Kelly Strayhorn Theater for 2015 and makes regular appearances at festivals and events including most recently “CreateX Art and Tech Festival” in Pittsburgh PA and Cripfest Disabled Artists Showcase ADA celebration with Matt Fraser at BAM in Brooklyn NY. Shannon’s current projects include writing and illustrating a tongue in cheek instructional book titled A Practical Guide to Skateboarding With Crutches while speaking and performing around the world. Lastly but not least, Bill Shannon is a dedicated father to three children.